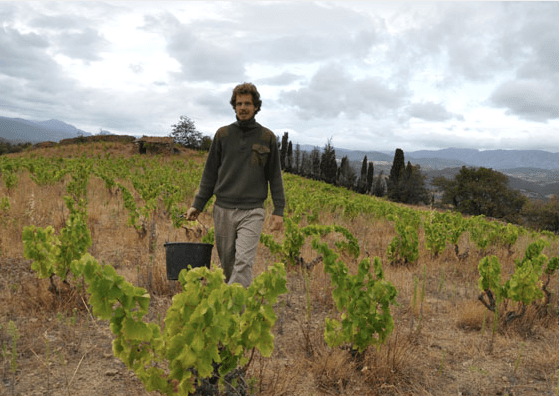 After studying enology in France, Buenos Aires-born agronomist Lucas Pfister from Vino 40/40 was all set for a permanent move to Europe — until he had an unfortunate setback. Regardless, he headed for the old world and now works for a winery in Italy’s Alto Adige region. Lucas says: “Back in 2009, I studied enology for two years in France and became good friends with a guy from northern Italy. After returning to Argentina and working in Mendoza, in 2015 I finished making my wine and quit my job. But two weeks before I was due to travel on a one-way ticket to Paris to be with a girl, she called to say she’d met someone else. Lucas lives in Bronzolo in Alto Adige, a small town close to the border with Austria. He says: “Here, they speak German and Italian and the winery is based here. In the beginning I stayed at a friend’s house, sleeping on an inflatable mattress. It’s all been a bit of a gypsy experience to be honest and everything I own fits into two suitcases — that’s what the past eight years have been like. “Right now I live in a fourth-floor apartment surrounded by mountains and there’s lots of light. Mountains are formed from limestone and porphyry, it’s a place where the differences come together, so it’s very interesting for both wine-making and as a place to live. “Working here is very dynamic because I might get invited to a pruning course in Germany and then hop over to Barolo to taste wine, or to Burgundy to see a friend; you can try so much in just a few miles. And I can get all the supplies I want here. Right now I’m working with some cooper brothers to make the barrels exactly to my spec. It’s very hard to do that in Argentina, plus it also costs a lot. But here I can tell my boss I’m going to spend some time with the coopers and learn the knowhow behind it. Learning what goes on behind the scenes is amazing and I would never have picked all that up in Argentina. A self-confessed nomad, Lucas has travelled around Italy and some regions stand out for him. One aspect of Argentina the agronomist misses is the easygoing social life. As for his most Italian characteristic, Lucas says: “Finding my way through legislation! Italians have way more red tape than even we do but there’s always a way round it!